Europe’s latest addition to the Copernicus Earth Observation Satellite Constellation is taking its first steps in orbit after receiving a smooth ride on Tuesday atop a Russian booster. The Sentinel-3A satellite was delivered to an on-target orbit by the Rockot launch vehicle and successfully initiated orbital operations under the watchful eyes of controllers at the European Space Operations Center. The 29-meter tall Rockot booster lifted off from the Plesetsk Cosmodrome at 17:57 UTC on Tuesday, ejecting itself out of an above-ground launch container using a cluster of four engines. 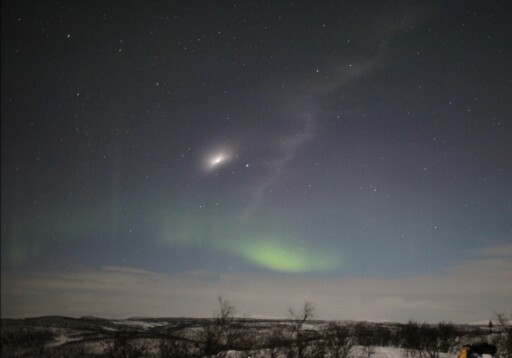 Ascending with a thrust of 191 metric-ton force, the converted Intercontinental Ballistic Missile quickly passed the speed of sound, flying to the north-west to head into a polar orbit. The first stage fired its four engines for just over two minutes before handing off to the second stage to push the stack into a sub-orbital trajectory with a thrust of 26,000 Kilogram-force in a burn lasting exactly three minutes. 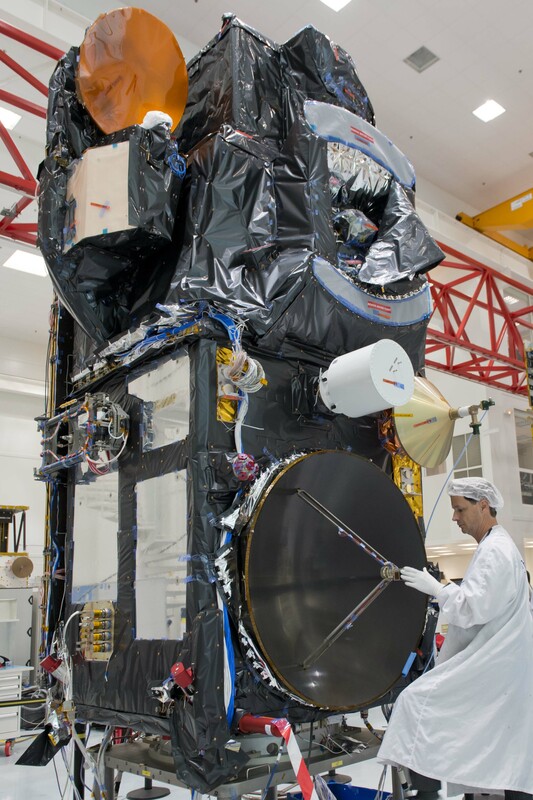 On its way uphill, Rockot separated its protective fairing, revealing the 1,200-Kilogram Sentinel-3A satellite. The Briz-KM Upper Stage separated from Rockot five minutes and 19 seconds and first performed a burn of just over nine minutes to lift the stack into an elliptical transfer orbit for a one-hour coast up to apogee so that the second burn could circularize the orbit. Briz-KM re-started its S5.98 engine one hour and 15 minutes into the flight, burning for 32.39 seconds to raise the perigee. Sentinel-3A aimed for an insertion orbit of 801 by 817 Kilometers at an inclination of 98.46 degrees. 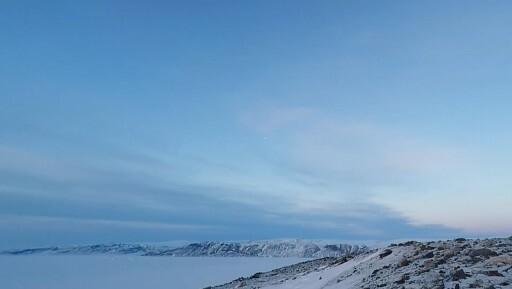 Separation of the satellite was confirmed when Sentinel-3A checked in with the Kiruna Ground Station in Sweden, sending back data indicating it had gotten a smooth ride atop the Rockot. The launch of Sentinel-3A was seen from multiple angles with observers in place along to rocket’s polar ground track. 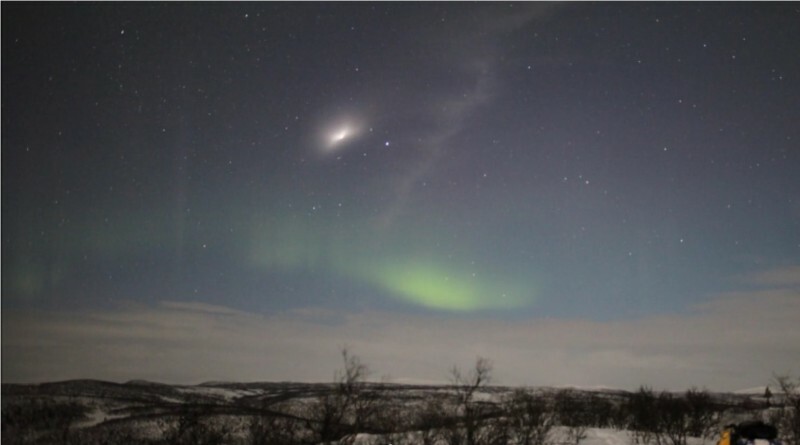 A spectacular view from Finland shows the ascending launch vehicle along with a star-filled sky and a beautiful display of the Aurora Borealis as a backdrop. The short video clip shows the Briz-KM upper stage surrounded by a bright cloud of expanding exhaust in the midst of its first burn to push the stack into orbit. Trailing the bright Briz-KM is the second stage of the Rockot launch vehicle appearing as a small object traversing the sky in a sub-orbital trajectory, en-route to its destructive re-entry. A video posted to YouTube shows the re-entry of the second stage of the Rockot launcher as seen over Greenland, near Thule. Although the video only provides a zoomed-out view of the event, the fiery re-entry is clearly visible, also showing a smoke trail left behind by the 3.9-meter long second stage. The visible portion of the re-entry in the partly-cloudy skies lasted for about 12 seconds. Rockot’s second stage remained on a sub-orbital trajectory, releasing the Briz-KM upper stage at an altitude of 242 Kilometers and a speed of 5.7 Kilometers per second. Any surviving components of the 1,500-Kilogram rocket stage were expected to impact 3,865 Kilometers from the Plesetsk launch site. Arriving in orbit, the Sentinel-3A satellite was released at precisely 19:17:22.905 UTC and the spacecraft made first contact with the Kiruna Ground Station 92 minutes after liftoff. Attitude Control on the spacecraft appeared very good and Sentinel-3A quickly reached a stable enough posture for the deployment of its single power-generating solar array. The team at ESOC spent the overnight hours powering up the various subsystems of the satellite and went through detailed checkouts to kick off a three-day Launch and Early Orbit Phase that prepares the spacecraft for commissioning activities. 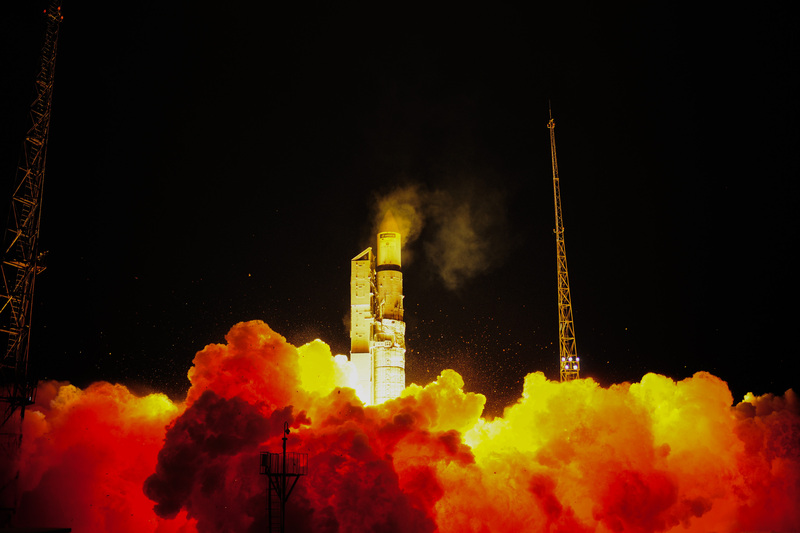 The Sentinel-3A satellite joins the Sentinel-1A radar satellite and Sentinel-2 multi-spectral imaging craft that launch atop Soyuz and Vega boosters in 2014 and 2015. In contrast to the Sentinel 1 and 2 satellites that each carry only one specialized instrument, Sentinel-3A hosts a package of four instruments to collect a variety of data and is therefore considered the most comprehensive Sentinel satellite launched to date. 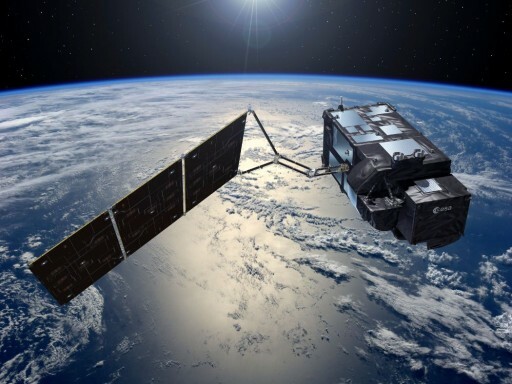 Sentinel-3 will ultimately operate a constellation of two satellites to collect ocean and land color observation data, ocean and land temperature, surface topography data over land and ocean as well as data for use in vegetation assessments, ice monitoring, atmospheric studies, and fire detection. The mission provides data continuity for heritage missions to extend multi-decade records of ocean altimetry and surface temperature measurements. Sentinel-3 hosts four instruments made up of two imaging payloads and two topography instruments. The Ocean and Land Color Imager is a pushbroom imaging instrument comprised of five cameras covering 21 spectral channels to deliver detailed land and ocean color data as well as fire detection, vegetation data, atmospheric aerosol contents and cloud top height. The other imaging instrument is the Sea and Land Surface Temperature Radiometer covering infrared wavelengths and sweeping out a wide field of view to gather surface temperature data over land and the ocean. The Topography Payload hosts an active Synthetic Aperture Radar bouncing radio pulses off the ground to measure ocean wave heights and land topography, assisted by a Microwave Radiometer recording Earth’s natural microwave emissions to provide correction data accounting for atmospheric water content. 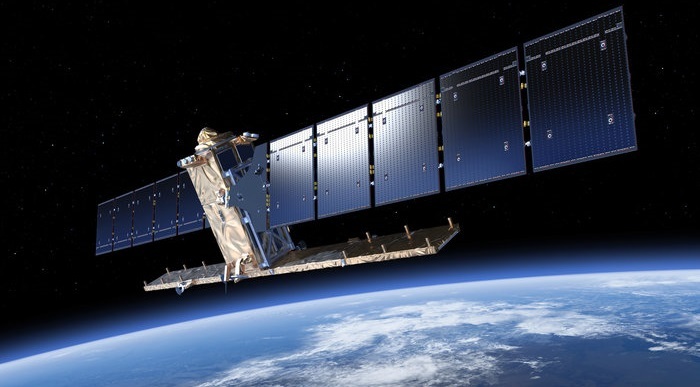 To make precise topography measurement, Sentinel-3 relies on a trio of Orbit Determination Systems, in combination achieving a sub-centimeter accuracy in calculating the satellite’s orbit.